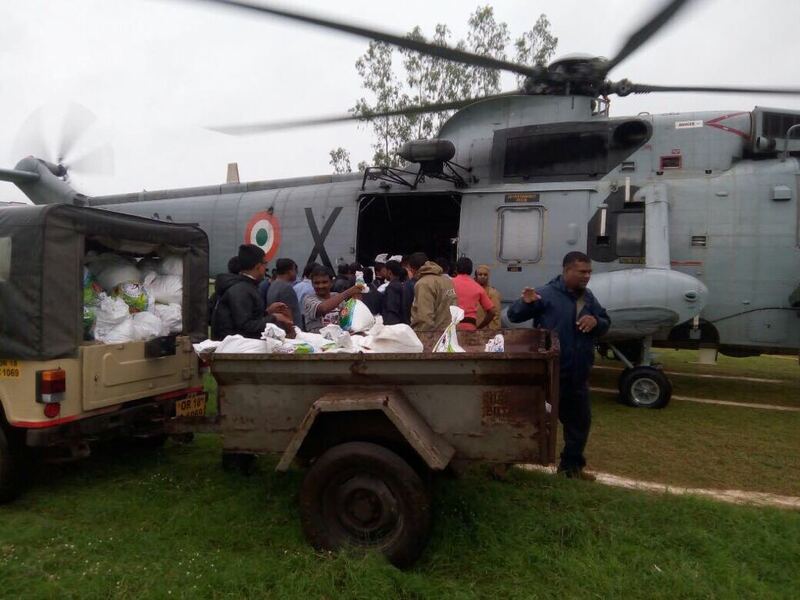 Odisha Flood Relief Operation- A Seaking helicopter was deployed for distribution of 4 tons of relief material in flood effected areas in Odisha. 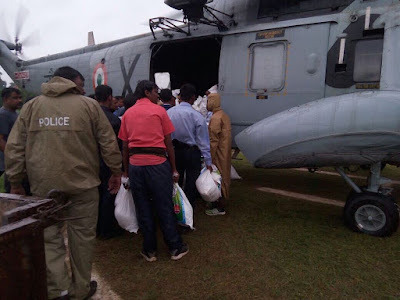 District Collector, Rayagada had requested assistance of Indian Navy. 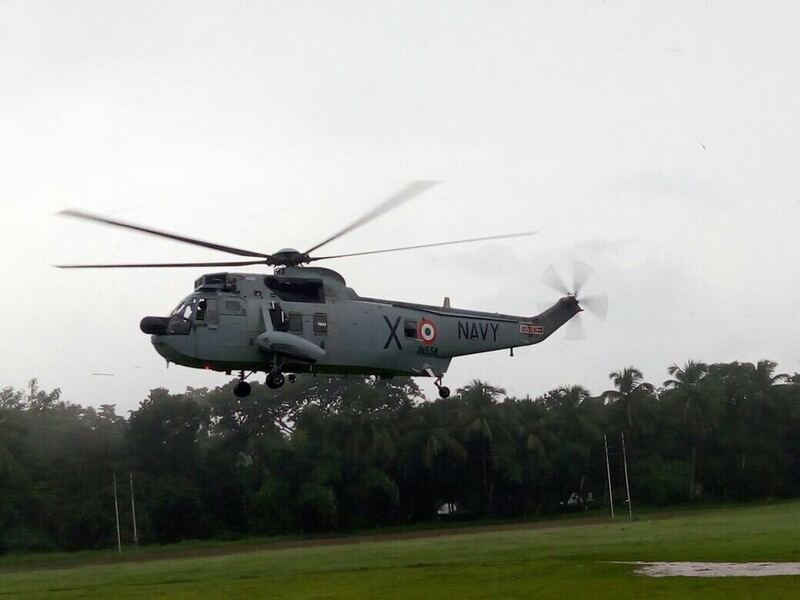 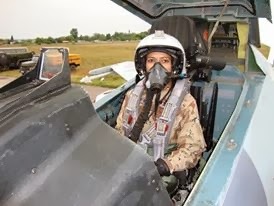 The helicopter got air borne from naval air station INS Dega at Visakhapatnam and landed Rayagada where relief material was loaded. 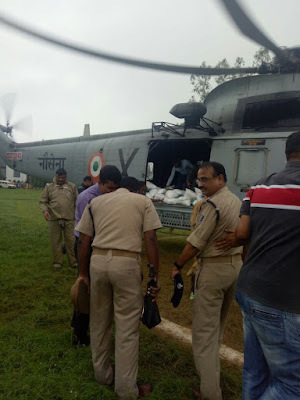 Relief material for drop at affected areas in liaison with local administration representative.